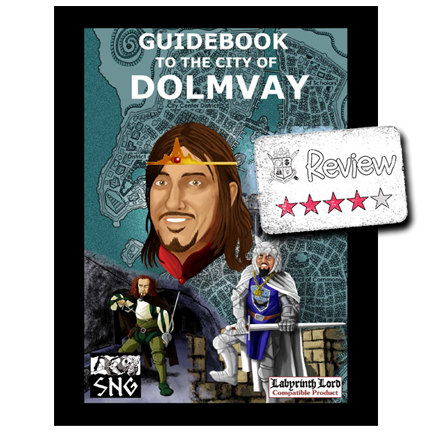 Last week I finally managed to get my hands on a copy of the Guidebook to the City of Dolmvay, which is the end result of a successful RPG Kickstarter. Written for Labyrinth Lord, the Guidebook comes in at 223 pages and is easily adapted to any OSR game. Roughly the first half of the Guide is the setting itself, chock full of city details, while the second half was made up of appendices. The Guide comes with a good table of contents and an index. All to often projects of this nature manage to have one or the other, not both. Overall I thought this was a good sourcebook and I really only had a couple of issues pop up when reading through the Guide. Now I realize this might simply be my personal preference, but when I'm reading about a specific area, I want the NPCs to be more closely aligned with their home location instead of lumped together. The Guide breaks down Dolmvay into wards and in each ward section it mentions specific areas, which are then followed up with NPCs for the ward. I'd rather have each NPC in the appropriate ward area, or just lump them all together in an appendix. The other issue is that I'd like to see better ward maps. There is a single city-wide map on page 30 and then then next map you see is on page 148 in Appendix II. 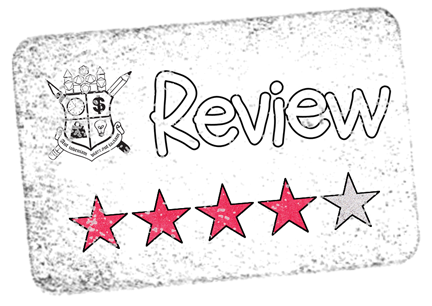 As of the time of writing, the Guidebook to the City of Dolmvay is a PWYW (Pay What You Want) file that has an average contribution of $3.80. Rounding up to $4 I'd say this is an absolute steal. Use the whole Guide, strip it for parts, or just use a single section.....still worth $4. I highly recommend buying and checking out the Guidebook to the City of Dolmvay today.